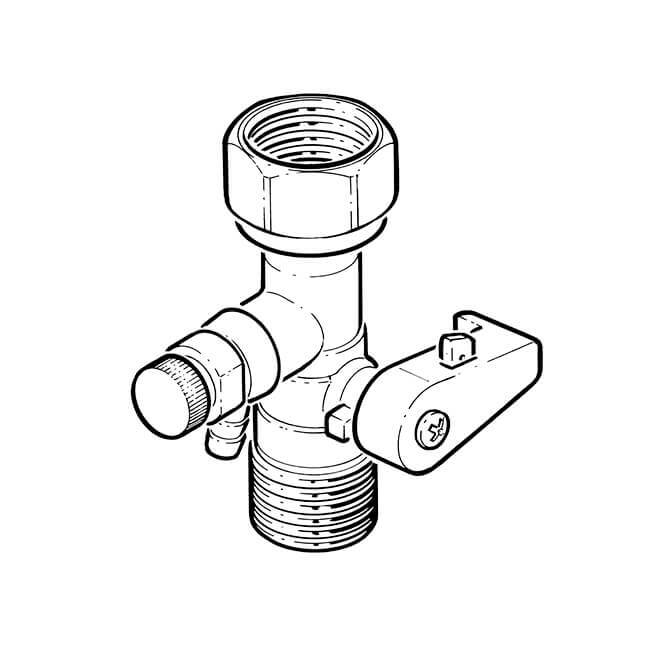 Service valve for sealed heating system expansion vessel. 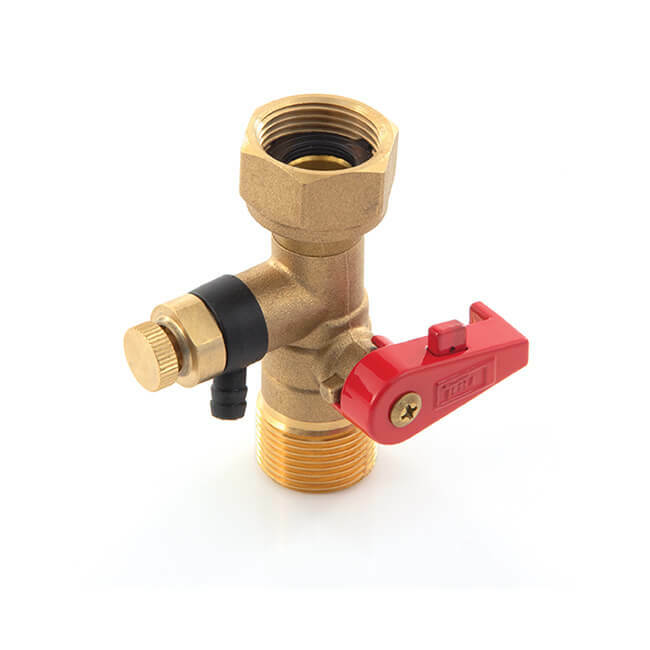 Features anti-tamper lever, swivel nut connector and rotating drain tap. Supplied with washer and locking wire. Enables isolation and draining of heating expansion vessel only, for re-pressurisation or replacement.